A traditional, light sweet which you may call as the Indian pancake. 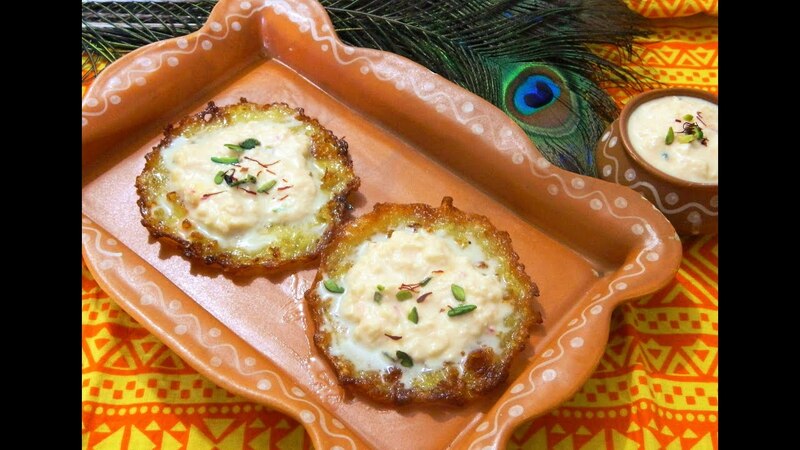 Malpuas are soft and fluffy, coated in sugar syrup and served with delicious Rabri over it. These would be a delight to eat along with a hearty meal. 1.Boil milk in a bowl. 2.Add a cup of sugar to it and mix well. 3.Now add saffron, pistachios and almonds to the milk followed by cardamom powder and mix well. Mix thoroughly to make smooth batter. Take maida in a bowl, add sooji, khoya along with powdered sugar and saunf, followed by water. Whisk all of it together. Keep adding water to make a creamy-like mixture. Now, in a wok full of ghee put tablespoon full of the malpua mixture. Make as many malpuas as you can with the mixture. Immerse malpuas in the prepared sugar syrup for about 10-15 minutes. Put rabri on top of it and serve.